We are a full service neurological treatment center with practices in both Frisco and Greenville, Texas. We have been providing high quality care to patients for over 18 years! With our diagnostic lab and MRI imaging center, we can be your one stop shop. My experience with Dr. Ata has been more than exceptional. "Best place that ever happened to me!" "Dr. Ata is great. Super thorough and kind." "Outstanding patient care. Dr. Ata is professional, thorough, and extremely caring." "Dr. Ata and his nurses and staff are always nice, friendly and professional." "With Dr Ata, you are in good hands!" "Dr. Ata is very knowledgeable in his field and will go the extra mile[...]"
"Dr. Ata is very thorough. He is decisive and straight forward." "Dr. Ata wants the best care for his patients so he does as much as he can[...]"
"I have so much faith in Dr. Ata. His staff is very friendly and attentive." Dr. Ata is very thorough. I always feel very well taken care of. At NeuroCare of Texas, your health and well-being are top priorities. NeuroCare of Texas -- located in Frisco -- is a comprehensive neurological evaluation center that provides thorough examinations, testing, and treatment for a variety of neurological conditions. Ahmad Ata, MD is a board-certified neurologist and neurophysiologist. He completed his studies in medicine and surgery at Rawalpindi Medical College before entering his neurophysiology residency and fellowship at the University of South Carolina. He then completed his internship at United Hospital in Newark, New Jersey before moving to the Frisco, Texas area. Dr. Ata has practiced as a neurologist and neurophysiology specialist in northern Texas since 1999. He is a member of the American Academy of Neurology and regularly publishes his research to advance understanding and treatment options for neurological conditions. Dr. Ata prides himself on compassionate, dedicated care for every patient. He has a knack for building long-term relationships with his patients and their families due to his excellent bedside manner and expert care. NeuroCare of Texas even houses an in-office laboratory and MRI imaging center, so all of your needs are met quickly and conveniently. When Dr. Ata is out of the office, patients can find him rooting for the Dallas Cowboys, eating good food, and traveling with his family. If you’re looking for comprehensive, thorough care for your neurological condition, expect to be treated with passion and dedication at NeuroCare of Texas. Call or book now to schedule a consultation with Dr. Ata. We accept most major insurances including Medicare. Here is a short list of the plans we work with. Please contact our office today for further questions. "I came in for a MRI. Dr. Ata and his staff were amazing and helpful. I felt welcomed, cared for and all within a timely manner." "Dr. Ata treats my mother. He is a wonderful doctor. The staff are very professional. I highly recommend Dr. Ata." "I am very impressed with Dr. Ata, his nurse Amanda, the front desk and the remaining of his staff. They are all very professional and very welcoming." 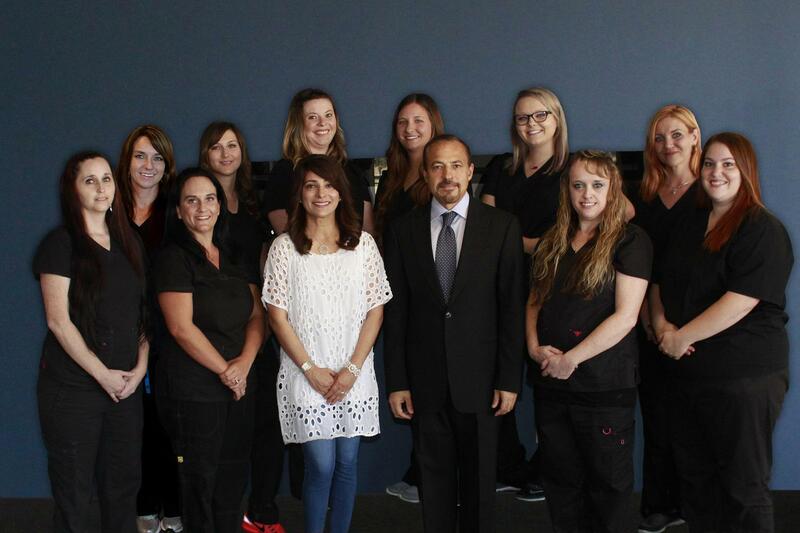 "Dr. Ata and staff are always on point at every visit. He always asks questions and actually listens to your responses! Dr. Ata is the best Neurologist I've ever seen." "The office staff is wonderful and always so helpful, where Dr. Ata really helps you understand what's going on, and what I need to do to get the proper treatment." "Dr. Ata has been treating me since June and he and his staff have always been wonderful and thorough. They are polite, pleasant and get back to me promptly[...]"
"I have been a patient of Dr. Ata's for several years and have always been fully satisfied with the care I have received from him as well as his staff." "Dr. Ata and his staff have been such a blessing to me. I suffered from migraine headaches and since seeing him I have gotten my life back." "I have had 2 MRI's in his office, he and his staff were amazing and helpful. I felt welcomed and cared for. They were able to get my tests scheduled quickly.."
"Outstanding patient care. Dr. Ata is professional, thorough, and extremely caring. His diagnosis is accurate...."
"Dr. Ata and his nurses and staff are always nice, friendly and professional. Their new office in Frisco, has room for everything they need including the latest testing"